The Revolution may have curbed the debauched excesses of the Fabulous Fifties, but Havana's brand of rum-fuelled hedonism still lures mega stars and tourists to its vibrant clubs and bars. Vedado has the lion's share of clubs and musical venues, from the swanky to the seedy, while Miramar and Playa is the locale for titillating cabaret and raunchy discos. 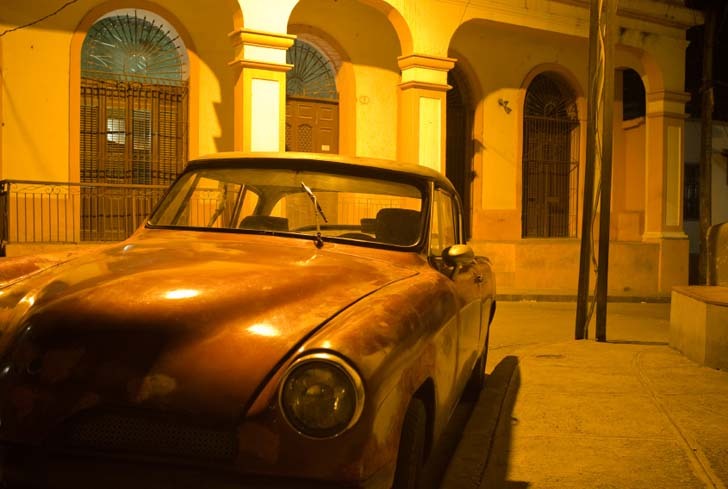 La Habana Vieja is brimming with bars, tango houses and cultural centres. The main strip of Calle Obispo is the place to begin an old town bar hop, where a seductive musical soundtrack and spontaneous streetside grooving provides some of the city's best free entertainment. As the bars close at 2400, the clubs get into full swing, continuing until the early hours. You should expect queues at the weekends. For Cubans a night on the tiles means serious sartorial grooming and most clubs have a smart dress code, strictly enforced by the door staff. In theory, no one under 18 is admitted, although many places are frequented by jineteros bringing a less than wholesome feel to the proceedings. The emphasis is on dancing, be it salsa and Latin dance styles, R&B, hip hop or rock. Most venues now feature matinées, aimed at young Cubans with entrance in pesos, which have a more authentic vibe. It's always worth checking out the cream of Havana's hotels, which provide the venue for big name bands. The Nacional usually has a great Saturday night line-up with home-grown Grammy winning favourites Los Van Van often taking time out from the global circuit. Wild Bill's Pub Crawl is a half a day tour along several bars in Habana Vieja (old Havana) You can see the full tour by watching the video download it on your device and print out the explanation and the map to take with you to Havana to do it yourself. Bar-Restaurant situated in a modern office building in Miramar district. Some nights your dinner will have the pleasant company of small music groups or comedians. When performers and audience start to warm up and to connect with each other the atmosphere is delightful and relaxing. This cosy basement club has been recently refurbished and now boasts decent air-conditioning. Shows start at 11.30pm, and there's a Cuban disco afterwards. 1st Sun of every month If you happen to be in town on the first Sunday of the month make sure not to miss this wonderful pe-a in the heart of Vedado. Elda, who owns the Paladar del Amor downstairs, opens up her rooftop (azotea) to anyone interested in good Cuban music. This is a great opportunity to mingle with Cubans of all ages and listen to both well-known and amateur groups playing everything from rap to son. Complimentary rum and wine are served, or you can bring a bottle to add to the party spirit. The event is free, but people are encouraged to make a donation to the local cancer research hospital. An absolute gem. This bar, open next to the Hotel Armadores de Santander in 2002, has a cosy environment to have a "mojito" or a beer near the harbour. The waiters are very charming. At the corner of one of the small streets of Fortaleza de La Cabaña, it is located this small bar with a charming terrace, ideal to enjoy the afternoon.